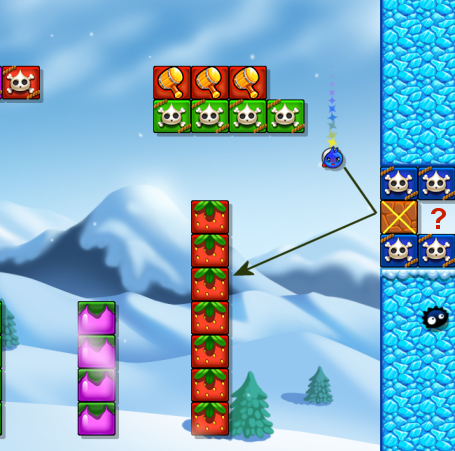 Frozen Fruits 4 - Level solution for room 59. One hammer will destroy 5 blocks. 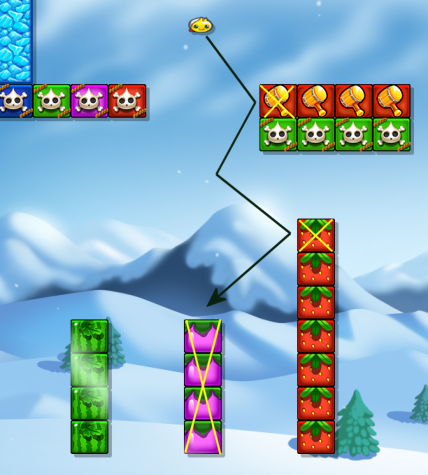 Destroy 1 red and 4 purple blocks. 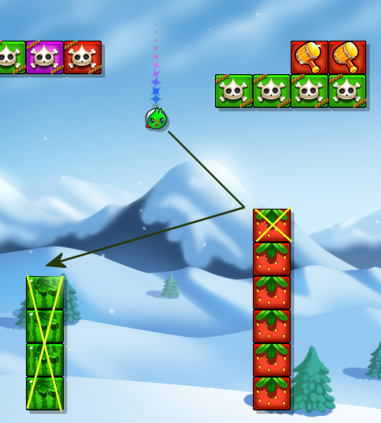 Destroy 1 red and 4 green fruit blocks. The mystery is hidden behind this stone block.